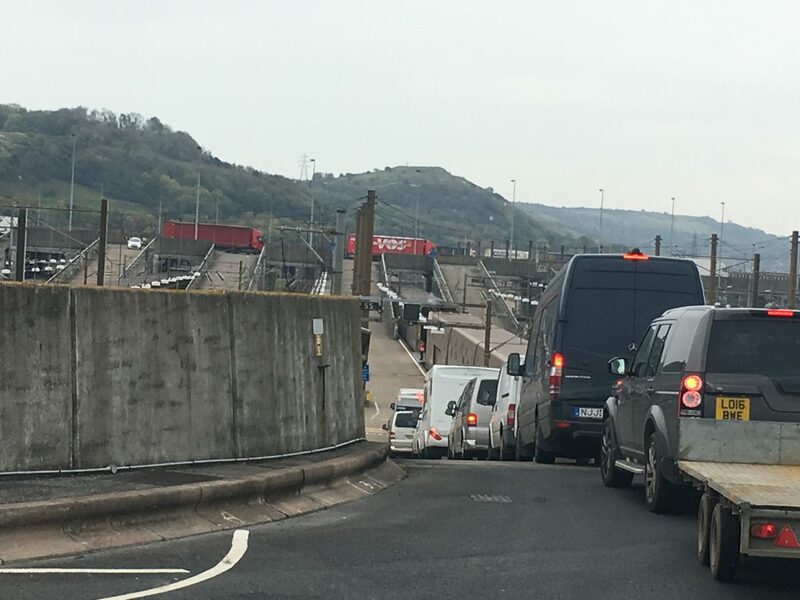 I’m sure that, to some people, the journey through the Channel Tunnel is a boring everyday activity, but for us there was some excitement as we prepared to do something we’ve never done before. Bertie’s trip on the tunnel was free courtesy of the Tesco Clubcard vouchers we had exchanged. It would have been £118 otherwise, which would make it more expensive than the Dover-Calais ferry. Because this was a new experience for us we arrived a couple of hours before departure, although now we’ve done it once it would be easy enough to leave it till the last minute if we chose to do it again. The directions from the M20 were easy to follow, and we drove down the designated passenger lanes to the automated entry booths which recognise your number plate and spit out a windscreen hanger which also acts as your ticket. Passing through British and French passport control we were then ‘inspected’ to ensure our gas canisters were closed off. This consisted of being asked whether we’d turned them off – no inspection necessary as we obviously look honest and trustworthy (and of course we were). Finally we could park by the terminal building which offered the usual airport style facilities. The windscreen hanger gives you a letter for your ‘crossing’ and we sat in the car park watching the large screens which told us when to make our way to the trains. We couldn’t miss the large arrows saying France which directed us to the departure area where we were directed into the lanes for large vehicles (the train has some carriages which are single storey and some that are double decker). At the top of the gangway the train entrance looked pretty small – how were we going to drive Bertie in there? – but as we got closer the scale became clearer and it was easy to get on board. Driving down the inside of the train was quite bizarre, but very easy and staff directed us where to stop so that they could ensure they could lower the barriers between carriages. As we set off we got that slightly unsettling feeling of moving, yet not moving, that sometimes happens on trains. Through the small window we could see a limited view of the outside world, and then darkness as we went underground. A short 30 minutes later we could see daylight again. 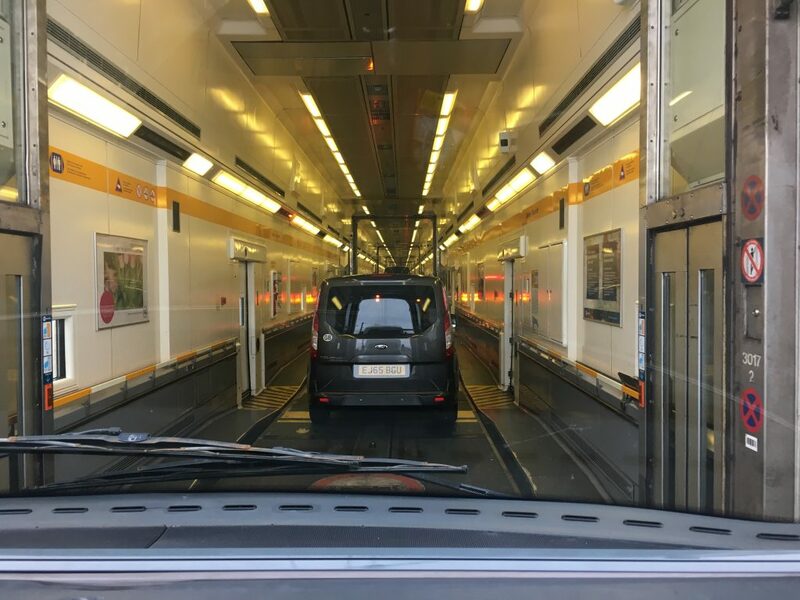 As we were being unloaded from the train we set the sat nav for our destination – Bosc Geffroy – a scant 300 km away and started driving.